Compare New Zealand’s top debit and credit cards instantly side-by-side, to easily compare the fees and features and help choose the card that’s best for you. Should I choose a credit or debit card? Credit and debit cards are both cards that allow you to pay for goods and services. You can usually use them to make purchases over the counter, online and over the phone. The key difference between the two is where the money is drawn from when you make a purchase. When you use a debit card the money is drawn from a linked transaction or savings account, so you are spending your own money. When you use a credit card, you are borrowing money from the card supplier. You will be sent a bill every month and will have to repay what you have borrowed on the card. You may also have to pay interest and/or fees. You can use a debit card to pay for goods and services. Payments are debited from a linked account, usually in real time. This allows you to stay in control of your spending because you are using your own money, not credit. You may prefer to use a debit card instead of a credit card, because you won’t risk spending money you don’t have, and you can avoid paying interest and fees. Compare New Zealand’s top debit cards instantly side-by-side. Use our Debit Card Comparison Tool to compare debit card account fees, whether you can use it overseas, daily ATM withdrawal limit, rewards, and whether you can use it for online or phone purchases. Save the debit cards that look best to your Debit Card Comparison List. You can then compare your top selections side-by-side in more detail, to help decide which debit card is best. Which debit card is best for me? Compare New Zealand’s top debit cards instantly side-by-side. Use our Debit Card Comparison Tool to compare debit cards and choose the best debit card for you. • and how much you are likely to spend per transaction (Daily transaction limit). A credit card is a payment card that lets you spend by borrowing from the card supplier, who then sends you a bill every month. Not everyone who applies for a credit card is given one – the card supplier will look at factors like your credit score, income and financial health. If you are approved you will receive a credit card with a set ‘credit limit’, this is the maximum amount you can borrow. Your balance is the amount of money you owe on the credit card. You will be charged interest if you do not repay the balance owed within the interest-free period. Interest is usually around 15-25%, but if you pay it back by the due date the interest is zero. Our Credit Card Payoff Calculator is a helpful tool to help you manage your credit card debt. You can use it to calculate how much time it will take to pay off your credit card, what the total repayments will be, or how much your repayments should be. Compare New Zealand’s top credit cards instantly side-by-side. Use our Credit Card Comparison Tool to compare credit cards and choose the best credit card for you. Credit cards can be a great tool if you don’t want to carry cash, or if you want to buy something but don’t have enough money in your current account. They have a number of advantages over cash or debit cards – you can build up your credit rating, take advantage of interest-free days, earn rewards on what you spend, and more. However, having a credit card that doesn’t reflect your spending style or how you plan to manage your debt can add up to hundreds or thousands of dollars. Use our Credit Card Comparison Tool to compare key credit card features and costs to help choose the best credit card for you. All credit cards are not created equal. Most credit cards offer interest-free days and charge annual fees. However the fees can vary from $0 to hundreds of dollars, the number of interest-free days range from 0 to 180. Save the credit cards that look best to your Credit Card Comparison List. You can then compare your top selections side-by-side in more detail, to help decide which credit card is best. The best credit card for you depends on a number of factors, including whether you plan to pay off the balance each month, and how you plan to use the card. If you only plan to use your credit card for occasional big ticket purchases that you will pay back as quickly as possible, then look for a card with a longer interest free period and lower interest rates. If you plan to use your credit card frequently, and are confident you will always pay it off on time then look for generous rewards or flight benefits. If you aren’t confident that you will always pay your card off in full, prioritise a lower interest rate. Credit cards can be a convenient way to manage your finances, but they can also be expensive and carry risks if not managed properly. Here are some key advantages and disadvantages of having a credit card. 1. It’s safer than carrying cash. Most financial institutions have security processes in place to protect you if your card has been lost or stolen, or if you think your account has been used for fraudulent transactions. 2. You can build up your credit rating. If you keep your account in good standing this will help you build a good credit score. 3. You can get interest-free days. Credit cards can charge high-interest rates compared to other forms of borrowing. But, you can take advantage of interest-free days if you pay your card in full before the end of each statement period. 5. Your credit card can protect you if you have a dispute with merchant or retailer in-store or online. You can request a chargeback to have the charge reversed on your card. 6. You have an emergency line of credit. A credit card can act as a safety net if unexpected costs arise that you don’t have the savings to cover. But, you will need to repay what you owe. 8. You can consolidate existing debt and move it to a balance transfer credit card to receive a lower interest rate to help you pay down debt faster. 2. Missed repayments or ongoing debt can damage your credit rating if you are unable to keep up with your repayments. 3. Accessing cash can be expensive. Most credit cards will charge a cash advance fee, it may be better to use an alternative type of card like a debit card to access cash. 4. Annual fees can be expensive. It’s worth checking the annual fee before you sign up for a credit card. Often the more perks you get, the more expensive the annual fee. • Credit Limit: the credit limit is the maximum amount a credit card company will allow you to borrow on your card. • Interest: interest is the cost of borrowing money on your credit card. Your bank will charge you interest on the balance owing on your credit card. • Cash advance: most credit cards allow you to withdraw cash from an ATM using a cash advance service. You can usually withdraw cash up to a certain limit, usually your credit limit (or a percentage of it). Cash advances attract a cash advance fee. 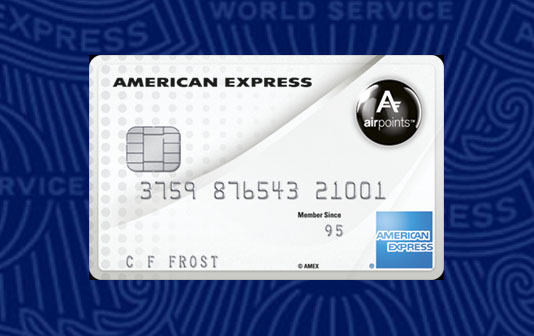 • Extra Features: credit cards may offer extra features like international travel insurance, purchase protection insurance, complimentary airport lounge service, or extended warranty and best price guarantee cover. • Repayments: you can make repayments on your card as quickly as you like. You must make the minimum repayments on your statement, usually 2% of your outstanding balance. You will be charged a late fee if you don’t make the minimum repayment by the due date on the statement. • Annual fee: this cost of owning your credit card and varies greatly depending on the credit card type. Some credit card charge no annual fee, and some may charge hundreds of dollars. The annual fee will be deducted from your available credit and will accrue interest if you don’t pay it in the first statement period. • Interest rates: interest is the price you pay to borrow money. The interest on a credit card is much higher than other types of finance because it is an unsecured product. We can help you compare account fees, manual or automatic transaction fees, overdrafts and balance requirements for banks accounts from major banks in New Zealand. Compare New Zealand’s main bank account side-by-side in one place to help you choose the one that suits you best. 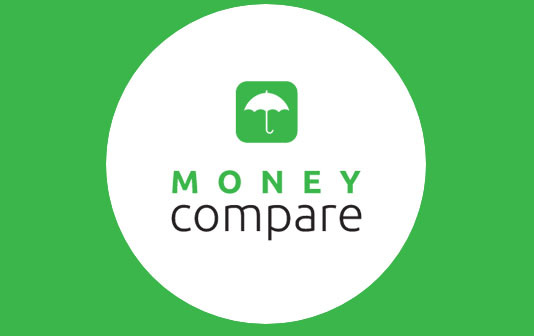 We can help you compare bank accounts from Westpac, ANZ, ASB, TSB, Kiwibank, The Cooperative Bank, SBS Bank and more. • Monthly account fees – some types of accounts charge no account fees, others may charge up to $10 or $12 per month which will add up over the course of the year. Account fees are often linked with the type of services included in the account.